"Les compagnies de prêt-à-porter vous vendent des vêtements vraiment pas chers et dont vous n'avez pas besoin. Cela entraîne des problèmes humains, sociaux et environnementaux." "This is a story about clothing. It’s about the clothes we wear, the people who make those clothes and the impact it’s having on our world. on an eye opening journey around the world and into the lives of the many people and places behind our clothes." we’re tossing nearly as much to make room for them..."
How many #English words about space do you know? Test yourself with our wordsearch! "Tom, Anna and Denise get together to share their ideas about Tip Top Trading's upcoming launch, but they can't agree on things! Anna's ideas are met with some negative comments and she has to learn how to disagree with the other's viewpoint in a confident but polite manner." "Political candidates like to use certain grammatical structures when they speak. They use these structures because they can have a rhetorical effect. In today's program, we explore one common structure: the deliberate fragment." "Leaked emails from the Hillary Clinton campaign raise questions about her connections to the Clinton Foundation. One email suggests the King of Morocco offered $12 million for the aide group and to cover costs of a foundation meeting. In return, the king expected Clinton to attend. But she didn't." "President Barack Obama’s eight years in office will come to an end in January. The president is celebrating the last time he will get to do many things. He hosted his final state dinner recently. He also appeared on a late-night talk show and read “Mean Tweets” for the last time." A zero-prep, Common Core-friendly, interactive lesson guide; made by teachers, for teachers; ready for class today! Help your students take informed action. the world's largest marine protected area (MPA)." "With many governments looking to move away from burning fossil fuels how close is the world to generating all its electricity from renewable energy?" "A new report from a British market research company says there is a ''wave of micro crime'' in the country." "New ‘global impunity index’ reveals that Islamist groups have murdered a large number of reporters and photographers without fear of being punished." "The Big Apple generates more than 14 million tonnesof rubbish a year, and spends around $2.3bn disposing of it – sometimes 7,000 miles away in China. Max Galka counts the costs of a city literally built on trash. reputedly (though possibly inaccurately) more than any other city in the world. " – but it’s the wealthiest cities that throw the most away." "Rocked by the phone-hacking scandal and haemorrhaging readers, the rightwing tabloids seemed to be yesterday’s news. But now, in Theresa May’s Brexit Britain, they look more powerful than ever." as the ‘primary source of malicious attack’." "In this lesson, students will practise Halloween vocabulary, and sing a song or watch a story. Depending on stages chosen, they will then invent an animal skeleton, write a spooky story, play a Halloween game, or invent a magic potion. Finally, they will make a paper skeleton, then write and talk about it. To finish off, they can do a quiz, a tongue twister, play a game or read some jokes. 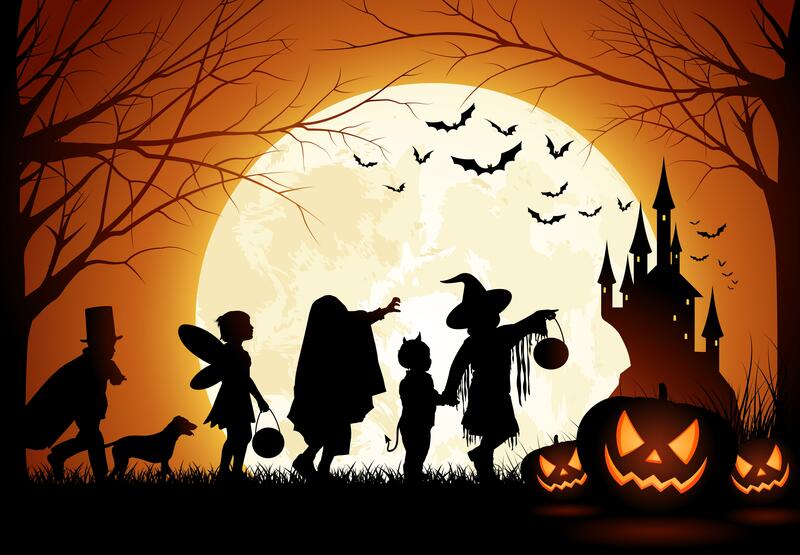 For homework, they can complete a worksheet or write about Halloween in their country on the LearnEnglish Kids site." "Halloween is celebrated on 31st October and is becoming increasingly popular amongst teenagers across Europe. This lesson plan focuses on a series of activities designed to focus on different skills, all related to Halloween. The activities can be adapted, so choose the most suitable for your group, taking into account their language levels and interests." "An undercover BBC investigation has discovered Syrian refugee children making clothes for British shoppers. Panorama investigated factories in Turkey, and found children had been working on clothes for Marks and Spencer and the online retailer ASOS. The brands say they do not tolerate exploitation or child labour. Darragh MacIntyre has this report." "Sustainable development goal target 12.5 is to reduce waste. But with a planet increasingly dependent on technology, is that even possible? Kai Loeffelbein’s photographs of e-waste recycling in Guiyu, southern China show what happens to discarded computers." "Republican candidate Donald Trump is taking a break from campaigning to open a new hotel bearing his name just blocks from the White House." "Facebook carried the first 'Trump Tower Live' program Monday night. The program looked similar to a nightly news show on television. Its aim is, as one presenter explained on Monday, to “bypass the left-wing media." for Isis in Iraq. But while the jihadists are outgunned, their ideology has proven remarkably resilient..."
"according to the World Economic Forum." "Children who are sick at home can miss important classroom learning. They also can feel left out. The robot is called AV1." "The Kengoro robot, developed at the University of Tokyo, moves with a complex series of motors that are vulnerable to overheating. that allows water to seep out, cooling the areas most likely to overheat." has begun flying blood and vaccines to Rwandan medical centers. Another company, Vayu, transports blood and laboratory test materials in Madagascar." "Crews have begun dismantling the "Jungle" migrant camp in Calais with sledgehammers as its inhabitants leave by coach for other parts of France." the last city in Iraq still under the control of so-called Islamic State (IS)." to try and get the country thinking and talking about peace, by launching a public art project in the capital Juba." "One night after the final presidential debate, Hillary Clinton delivered a speech roasting her opponent Donald Trump at the Al Smith Dinner. The Catholic charity fundraiser is an opportunity for the candidates to trade jokes and blows amid the heated campaign. CBSN has Clinton's full speech." is an opportunity for the candidates to trade jokes and blows amid the heated campaign. CBSN has Trump's full speech." From 1986 Steven Spielberg animated movie. a powerful tribal leader in the region says." Only a tiny percentage of the estimated 3 million Syrians who have sought refuge in Turkey have the necessary work permits. To survive, they have to work illegally, without any rights, and for low wages." "Officials race to process children before clearance of refugee camp begins on Monday." An aerial view showing tents and makeshift shelters at the Calais refugee camp. "Facebook has launched a new service allowing users to order food and buy tickets. The new feature, called Recommendations, is designed to help users organize their friends’ favorite places and things in one place. The service allows people to comment and give suggestions on their favorite things." "Why did it take so long for a woman to be nominated in a country that works to empower women around the world? And, do feelings about the place of women affect how Americans react to a female candidate?" "Hillary Clinton v Donald Trump: all the clashes, questions, interruptions and flashpoints of the showdown in Las Vegas." "Ring-necked parakeets have become a common sight in south-east England, but it remains a mystery how they got there."